Discussion in 'Property Tours' started by Double L, Jul 19, 2017. Thanks to all who have but this forum together. I have enjoyed reading about all different ways every one goes about getting things done. Nice to see others having as much fun as I have been with my property. 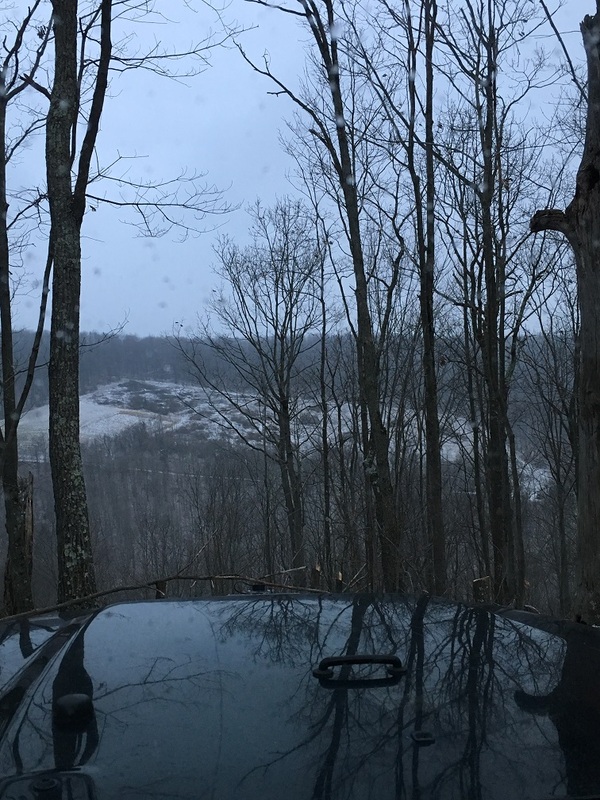 I purchased my 341 acres 3 years ago as a place to hunt and hang out. I live 9 miles from it so it seemed like a good idea. It had an old house on it which was very bad shape that I was just going to burn down. 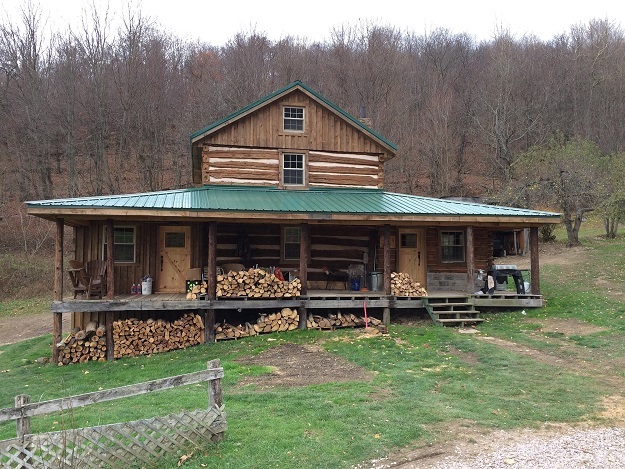 After gutting it, lots of cleaning and and allot of time and work we refurbished the house into our cabin. I thought we would use it 1 or 2 weeks a year. I never dreamed we would be there every weekend and a couple days a week. Its become a family gathering place every weekend. 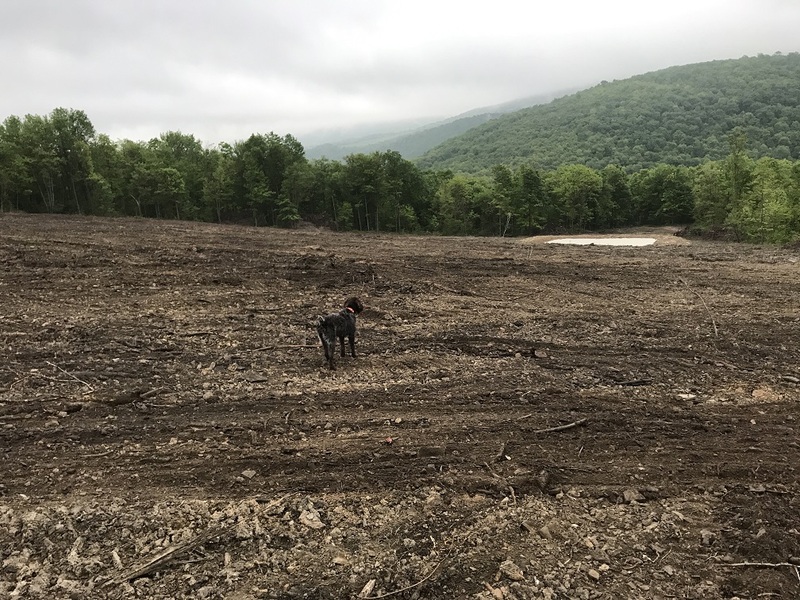 It took us 5 months to get the cabin usable and now we have been working on food plots and roads ever since and see no end in sight which is fine with me. 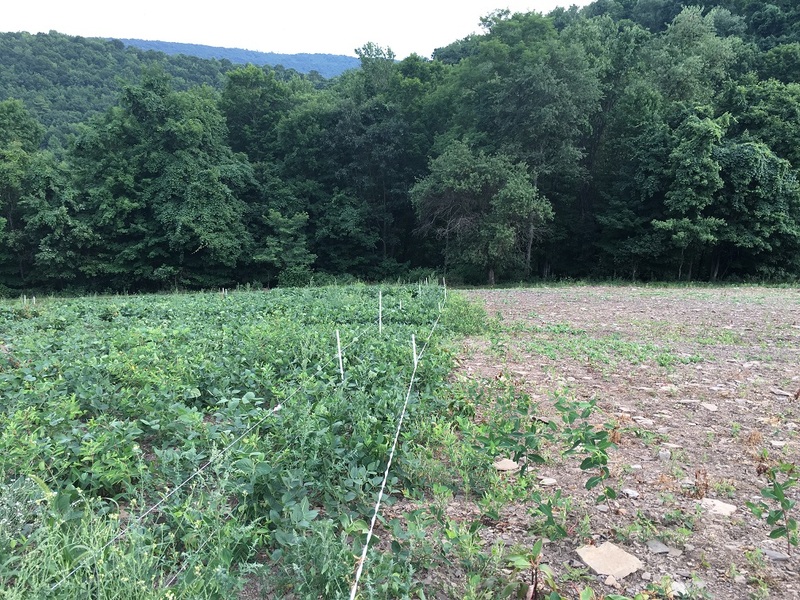 My neighbors who have 450 acres introduced me to QDMA and what they were doing with there food plots. We have become best friends since then and we co-op alot of our projects and equipment now. None of them live near by so I help over see there property also.they had about 11 and I had about 4 acres of food plots mostly in clover. 1 1/2 years ago we brought in Drop Tine Wildlife Consultants and that was a hugh turning point in our program. We now have doubled our food plots to over 16 acres each. We plant everything now from soybeans,corn,buckwheat,clover,oats,grain sorgum,winterpeas,brasicas, and winter wheat which is all I can think of off the top of my head right. Our goal is to try and have food for the deer all year long. We have added 7 water sources and this year we did our first hinge cutting. 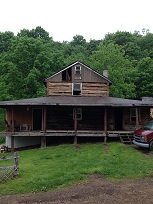 both our properties were all woods, not much level and had been timbered randomly over the last 100 years. 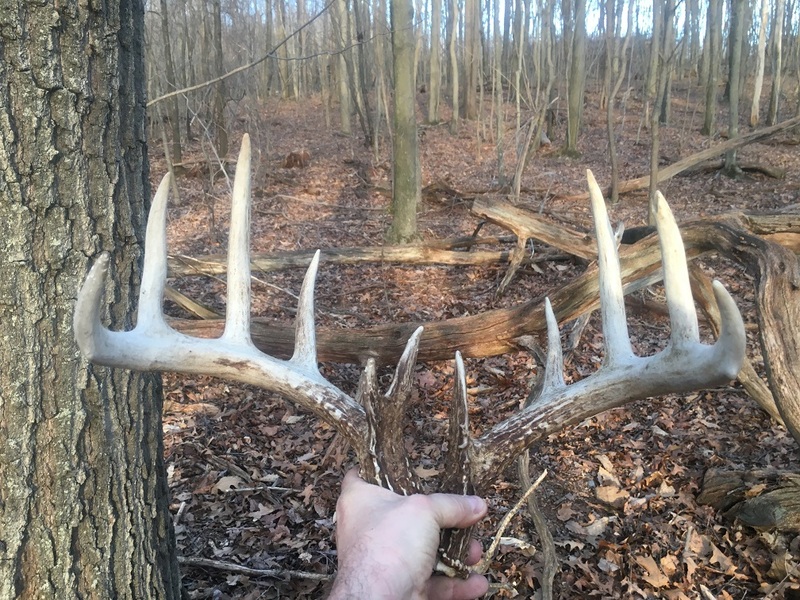 we have no nice logs for harvest but thats ok, we just want to grow deer... Last year we restrained from harvesting bucks as we are trying to help our age structure. I did not hunt my property last year except for my dad, nephew and niece got a doe and I helped another good neighbor who did a "wounded warrior in action" hunt last year and was having trouble getting the guys action so I took one of them and he got a simi long range shot 580 yards since that is another one of my hobbies. I have a shooting area form ridge to ridge at my place. That was a rewarding moment helping him bag his first deer kill. We are trying to only harvest 4 year old and older bucks now. This should be a great year with what we have been seeing so far and know what we left live form last year. 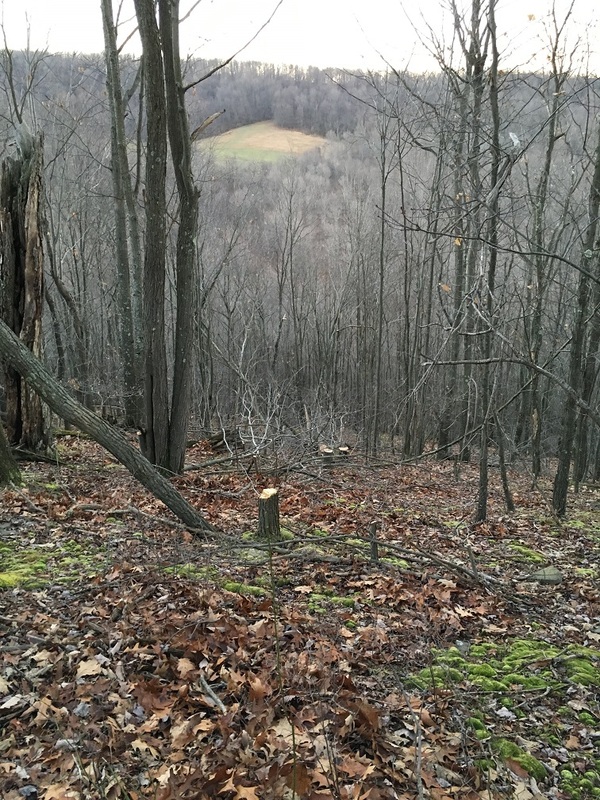 The lay of our land is nice because we have nice natural borders that makes it hard for other people to stray onto our property and we dont have allot of hunting pressure on the adjoining properties either. Most of the them are doing some sort of management not to the extreme that we are but now they are seeing the benifits of what we have been doing and now they are drinking the same kool-aid. My neighbors were doing QDMQ 12 years prior. 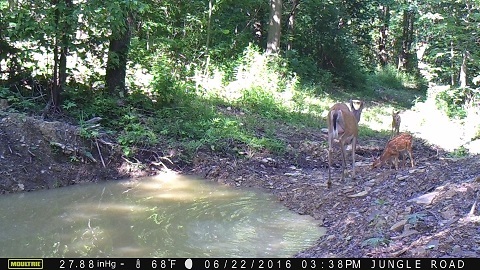 Most of our food plots are rocky and not level and poor PH. Old plots were 6.5 - 7 since we were liming every year but every new plot we make has been 4.2-4.6 Ph since they were all woods before. We come to understand that our plots might not look picture perfect but i dont think the deer know that.. LOL Deer love them and we have been having fun making them. We were using there 34 hp tractor and my 25 hp tractor with attachments mower, disc, firminator. 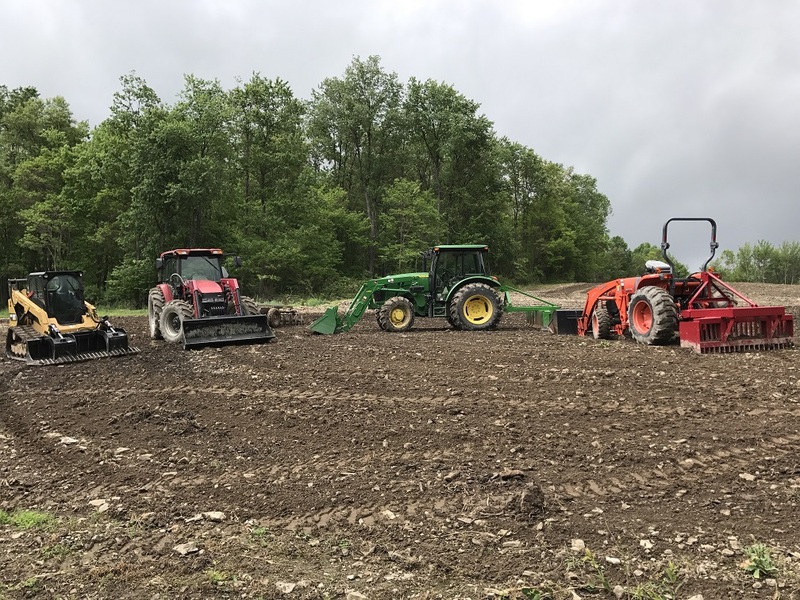 Last year I bought the 5085 tractor and bigger implements which have made working on the plots so much easier and more fun.Ill post some pictures of the place of what we've done and whats work in progress. Weasel, Chipdasqrrl and Mennoniteman like this. Hoosierhunting, Chipdasqrrl, Brent and 5 others like this. Sounds like a great place - and with some cooperation from neighbors you should really be able to make an impact and see things progress quickly. same field as above two weeks ago. This is also the field where we shoot long range into. Merle Hawggard and buckvelvet like this. That's an incredible shot ! How far was it ? I have a friend that shot a ground hog at 670 yds last week. Her personal best. I can't imagine making shots like that, but I'm an archer. Beautiful looking place you have there too. Sounds like a dream come true. I have two long range guns. 7 mag best of the west rifle with there Huskamaw 5x20 scope is my go to hunting rifle 9lbs. 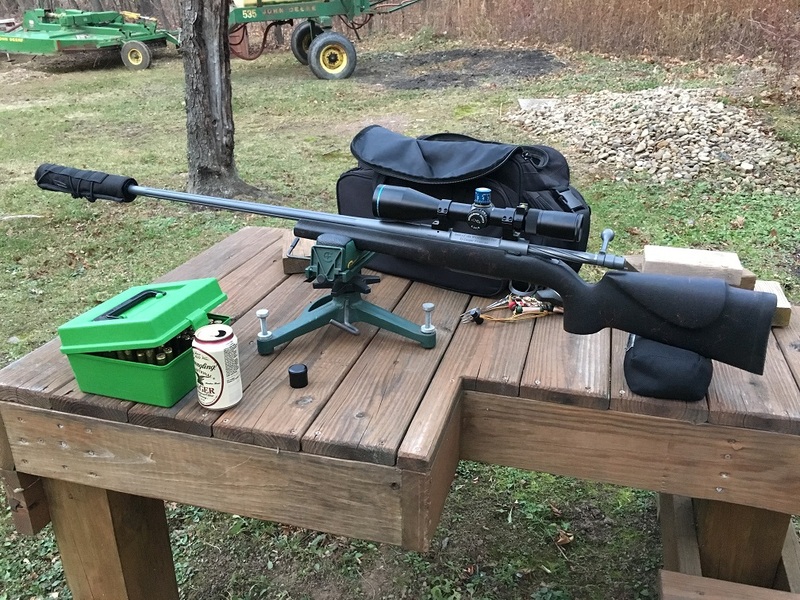 It is awesome and that is what got me into shooting long range. I am a bow hunter. My other is a 6.5 Creedmore surgon with a 3X20 Schmidt Bender. 14lbs. It is now my go to shooting for fun gun. we can now stretch out to 1400 yards for target shooting from other neighbors and last week i found a spot out 2000 yards. that might (probably) be beyond my limit. lol That kill shot was at 580 yards. 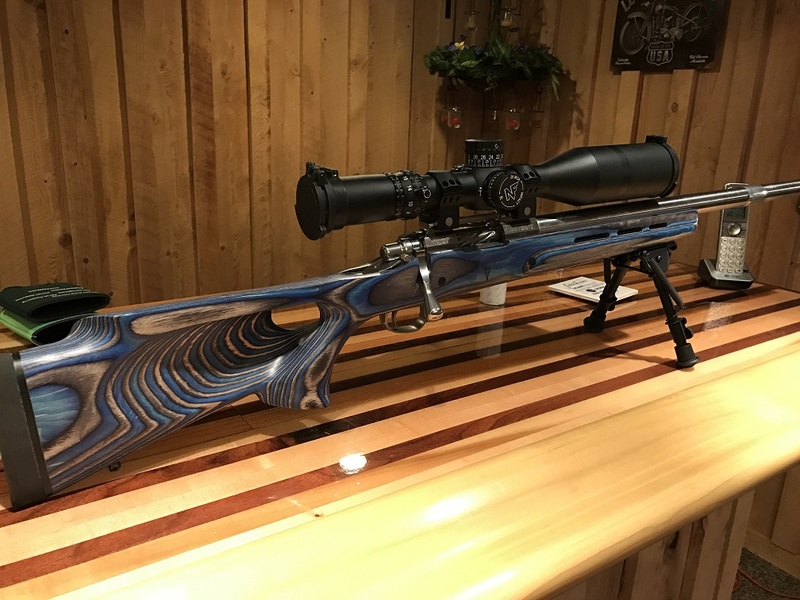 500 to 600 is a comfortable shot there for hunting. I dont think I would try farther than that on an animal there because of the wind since we are shooting across deep valleys. There a reason we have windmills everywhere here... I dont have pic of creedmore with me. the other is my buddy muzzle loader I borrowed. 45 cal smokeless powder. Im getting one built now for myself. I was getting 6" groups at 600 yards with it. in looking for pictures today i found these from this year. while looking for spots to hinge cut this Feb we found these two sets. 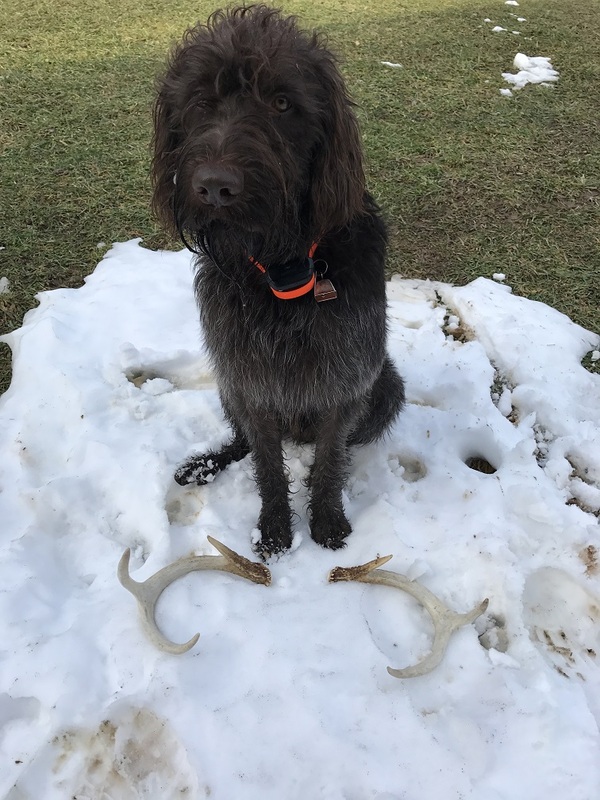 I have been trying to teach my dog to shed hunt. He does just so-so on that because I have spent more time on bird hunting training than the sheds. 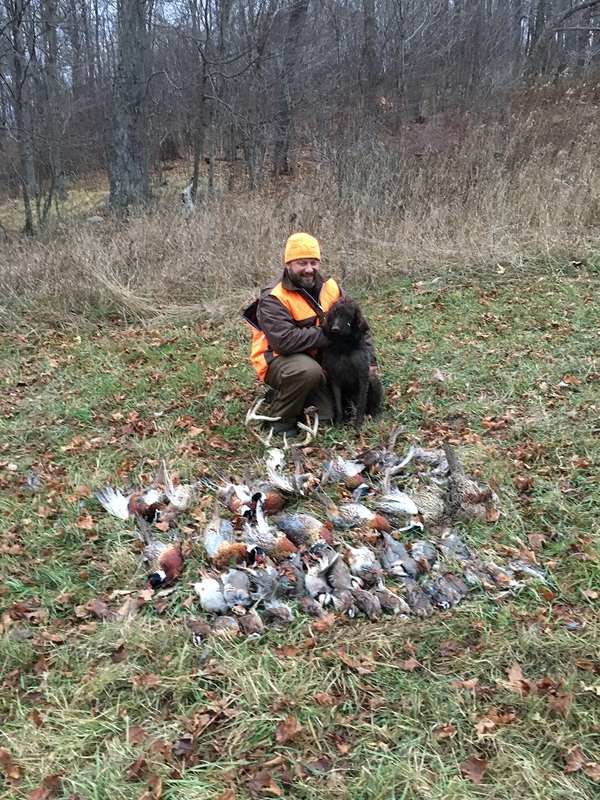 The pic with the birds he did find the skull while doing clean up at bottom of field at end of day on a hunt I took him on as a guild. he was 9 months old. that was day after Thanksgiving this year. that helped me get by not deer hunting at my cabin last year. I was bird hunting/training my new puppy. Brent and Merle Hawggard like this. Swanky looking joint right there. Awesome place. Please give us detail on how you've divided up the 16 acres of plots. I have 12 acres at the cabin which is going to be my main feeding feilds which is centered in my property. I have 3 acres of clover with oats cover crop planted. 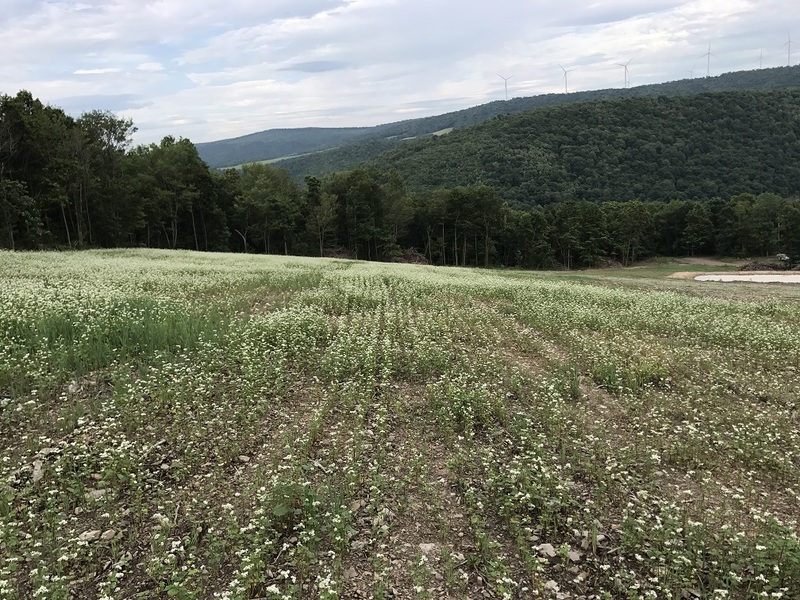 4 acres of buckwheat/oats. 1 acre oats/sweetpeas. 1acre oats/grain sorghum. 3 acres buckwheat which I just planted July 4. The clover I want to get established to help prevent soil erosion it was my oldest original plot and had a good ph. The rest is what I made new over winter and just put cover crops in while trying to get the soil into better shape. I will be replanting the new part next month with a fall/winter mix that I haven't completely decided in yet. I've been thinking buckwheat oats brassica winter rye mix. My ph there was around 4.5. I'm also going to spread Humastart on the fields too. I also have 7 micro/hunting plots that range from .25 to .75 acres that we hunt over which I just sprayed to replant except for one that is very remote which I left in clover. Those plots I have been making over the last 3 years. I may plant them with the same mix that I plant in my big field. I have been focusing on holding and feeding the deer on my place more so than hunting them. Improving bedding areas and access to the stands so not to blow out the bucks is still on going project. One of our problems we faced is because the trees had been cut so much we have good cover every where. So we have deer bedding everywhere literally. So we hinge cut to try and make better bedding for them. If that can even be done but we're trying. Have been clearing and mowing all the old logging roads so we have easy quit access to stands from different directions to each one. I will now be just working on making my hunting plots a little bigger over time since I've mostly used up all the realastate I had that could be made into big plots. Improving habbitate is what I think needs to be next project. We put lots of water access in and the food is all that a can do because of the lay of the land as of now. There may be a few acres I can squeeze in on side of some hills but I bit off almost more than I could chew over winter with all the acres we made this year. Lol. It sounds like an outstanding property with great potential. Having large properties around you with like minded neighbors is a huge bonus. Add my name to the signup sheet for rifle shooting instruction please that is if you ever offer any. We don't shoot long shots here but it would be nice to extend our personal shooting distance limits someday. 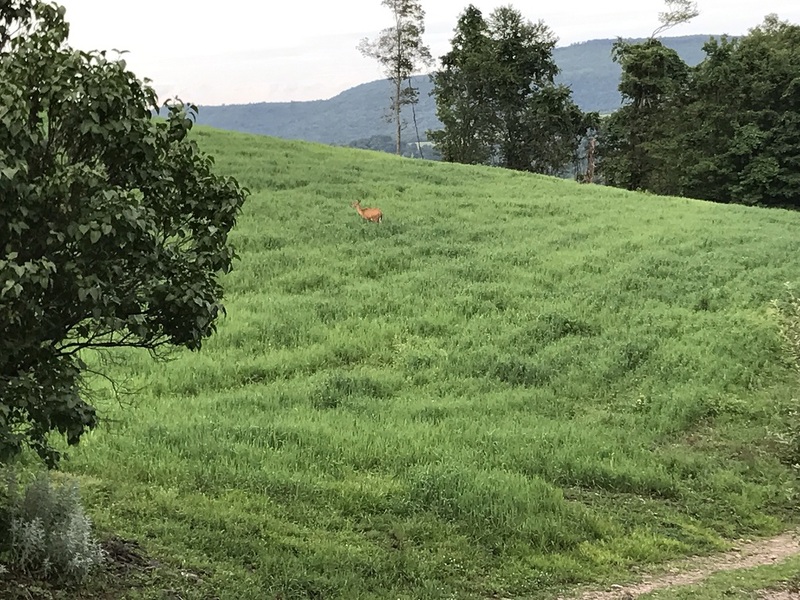 It will be interesting to see how you make out with encouraging deer to bed in certain spots when the property offers so many good bedding spots already. I and many others on the forum are also working on developing blue ribbon bedding areas on our individual properties as well.